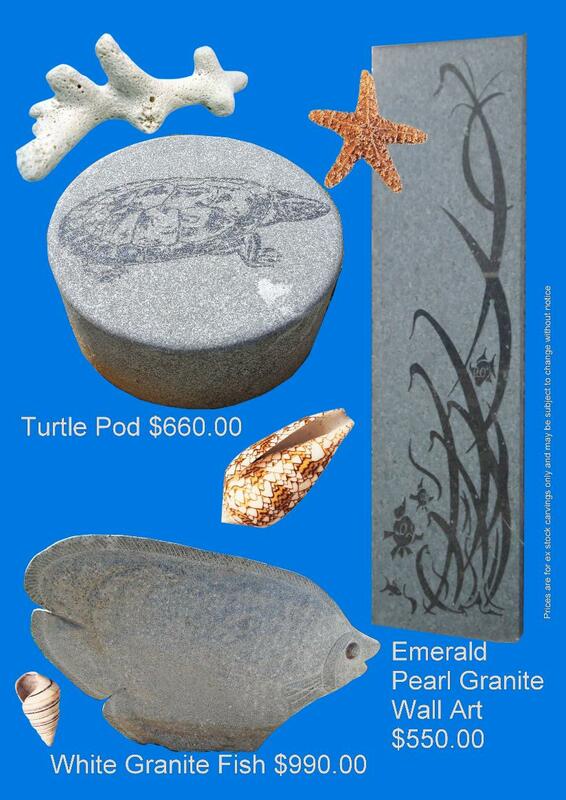 Granite sea creatures available from J.H. Wagner & Sons. 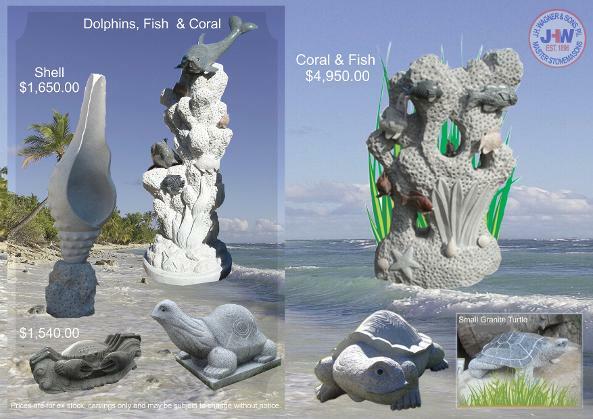 A swimming pool feature or an icon for a seafood restaurant are just two ideas for the carved Granite Coral, Crab, Fish and Turtle from J.H. Wagner & Sons. We will have you swimming in ideas for an aquatic theme in no time at all ~ a dry seabed gardenscape; a sandblasted sea scene feature panel or just a Fish in your pond; the possibilities are even bigger than the one that got away!